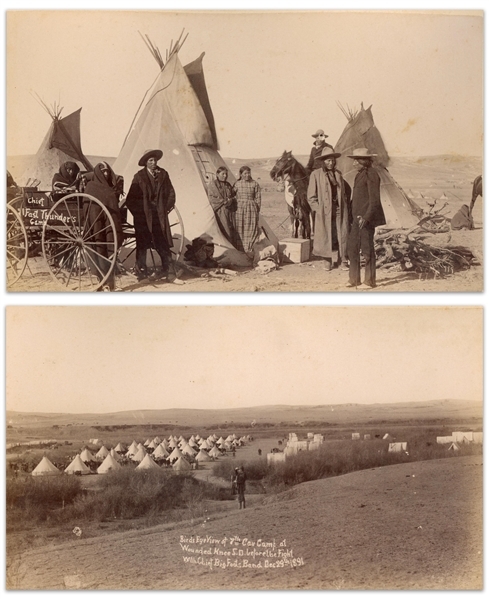 Two original albumen photographs taken by Northwestern Photo Co. of Chadron, Nebraska, whose outfit is well known for documenting the aftermath of the Wounded Knee massacre. 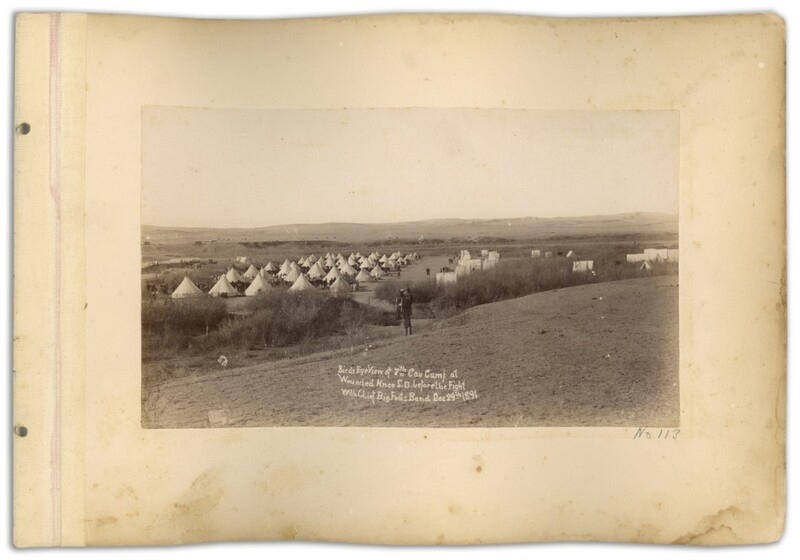 One photo ominously shows the 7th Cavalry encampment ''before the Fight...Dec 29th 1891'', mis-identifying the battle as 1891 rather than 1890. Photo is published in ''Eyewitness at Wounded Knee'', which writes of it, ''The Seventh Cavalry arrived at Pine Ridge after a twenty-five mile ride from Rushville. No other cavalry regiment in the entire army evoked the images of the old Indian-fighting army than it did. 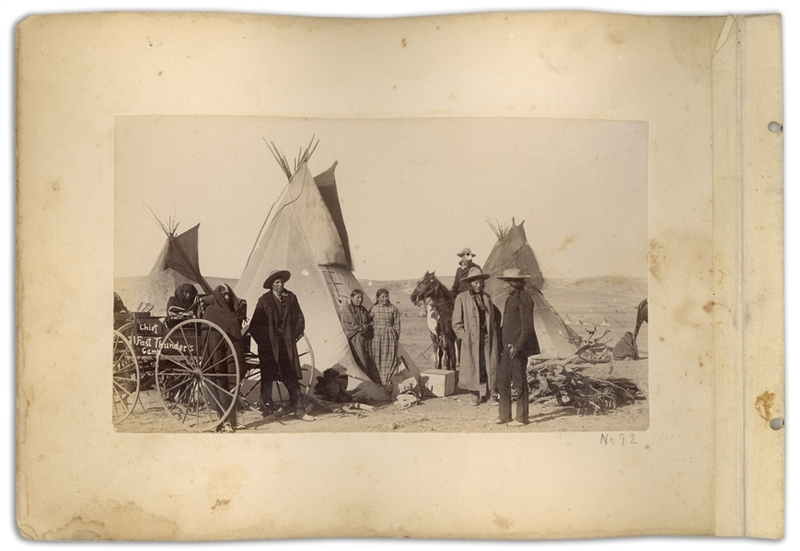 Several of its officers and men had fought at the Little Big Horn, and, because of this and romantic notions of fate and destiny, the myth of a 'revenge' motive for its actions at Wounded Knee gained undue credibility...'' Photograph shows photographer Charles Moreledge in the foreground. Photograph is affixed to mat, upon which the other side shows the second photograph, possibly unpublished of ''Chief Fast Thunder's Camp''. Each photo measures 7'' x 4'' upon mat measuring 10'' x 7''. Some soiling and buckling to mat, but photos are very good, with especially good contrast to Chief Fast Thunder photo.